Sorry this post took so long to write, last weekends race took more out of me then I thought it would and I finally feel like I have recovered and can do more things haha. 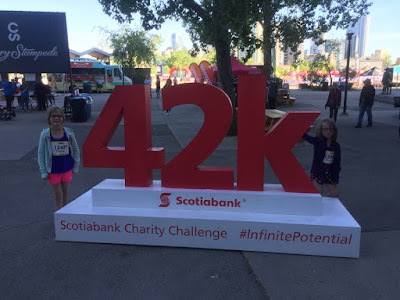 The girls so badly wanted to run in a race but seeing as they both play soccer, it was almost impossible to find one that would work for them. 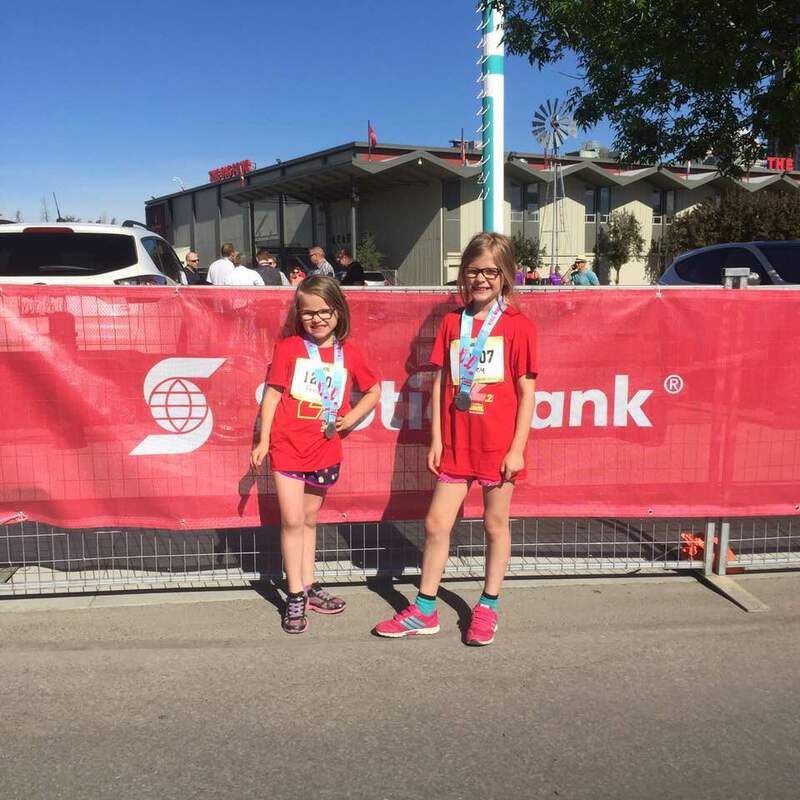 However, for some reason this year, CMSA had an almost 2 week break between the end of the preseason and regular season which gave the girls the opportunity to run the Kids Marathon at the Calgary Marathon. This is them before they drove downtown with Greg. 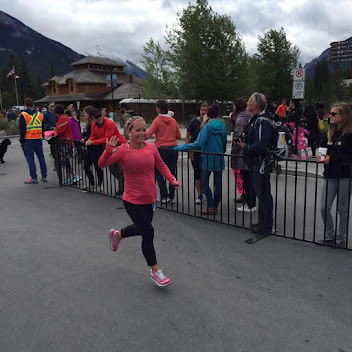 Contrary to what you see (in both this photo and most to follow), Penelope was excited to run the race. Since the kids race didn't start until 930, they were able to get photos at so many things that were lined up like crazy everytime i saw them. All that was on the grounds were those waiting for family members to finish. 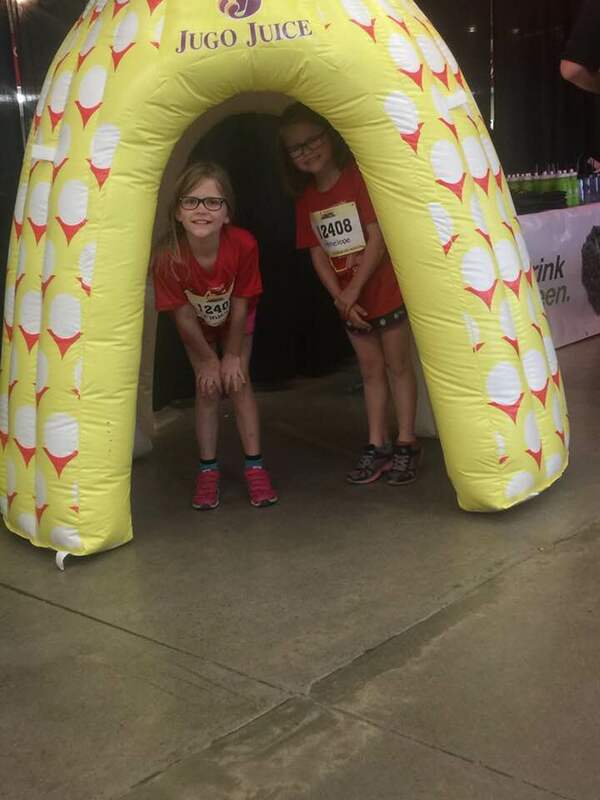 A rare smiling photo of Penelope and Finley inside the pineapple at the Jugo Juice Station. THe girls loved the smoothies this year. I don't love tropical or citrus fruits very much but the coldness of the smoothie was appreciated. Waiting for the race to start by getting photos at the start/finish line. 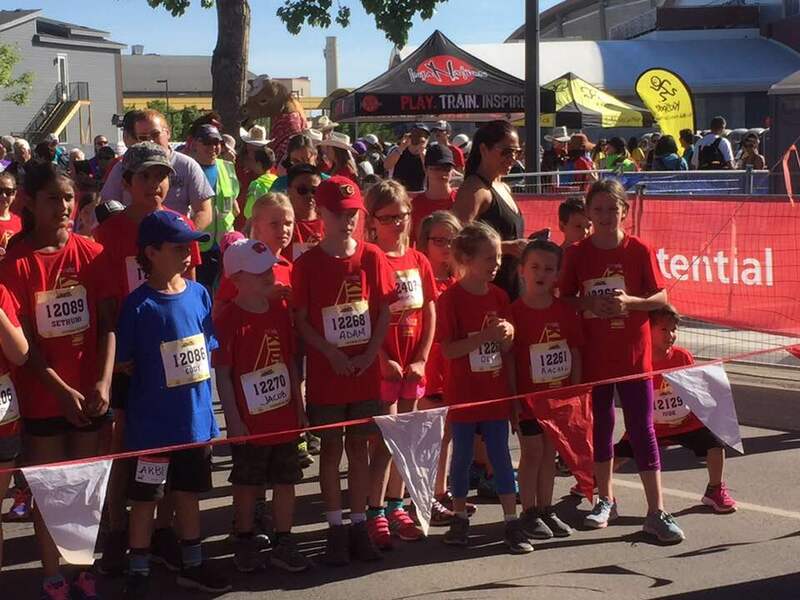 Getting ready to start the race. They started at the same start line that we all did and then ran the opposite way that we did, so back through the corrals basically and then back. 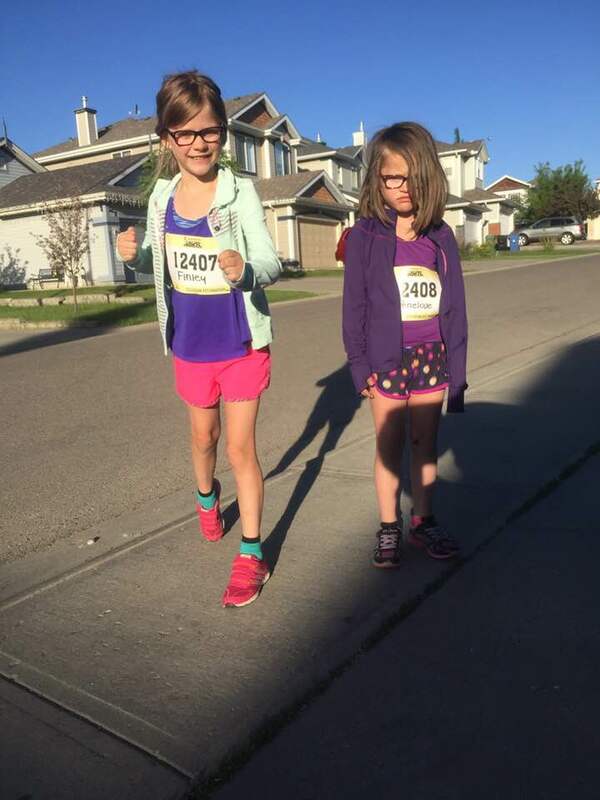 I didn't get to see them run the race since I was finishing my own but got to them right after this photo was taken. It took longer then I thought to navigate through everything to get out here to meet with them. They both love their shirts and their medals and have showed them off quite proudly. They both thought 1k was too short and would like to do the 5k next year but who knows if the soccer schedule will allow that to happen but heres hoping it does! 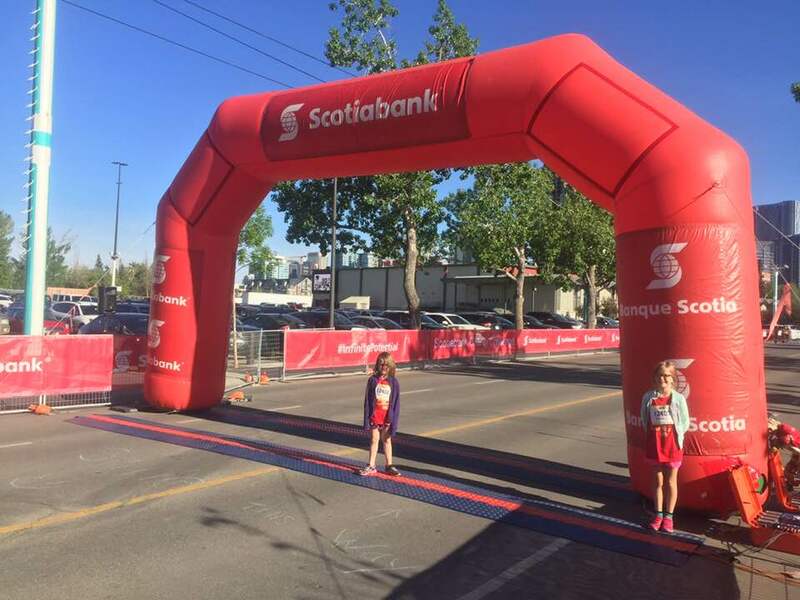 Thanks Calgary Marathon and Run Calgary for a fantastic weekend!